I've shared with you last year that I thought LAVANILA's natural deodorants in decant, beautiful fragrances were the "Rolls Royce" of natural deodorants. 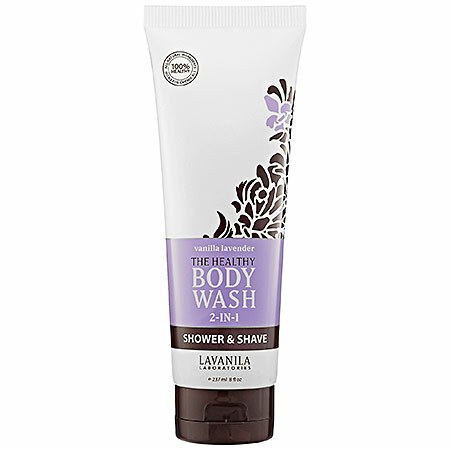 Now I'm hooked on another one of their natural products, LAVANILA The Healthy Body Wash 2-In-1 Shower & Shave Vanilla Lavender. The vanilla infused body wash is silky smooth and the one I tried, Lavender was beautifully blended I loved how smooth and creamy the body wash felt when lathering, and it provided the perfect amount of protection and "slip" for shaving as well. The razor glided easily over the wash, and I didn't experience any irritation. At the same time my body didn't feel like it had any residue or product left after rinsing. While the formula is scented, it's still gentle enough for most skin types, including sensitive/dry skin. I also found it very moisturizing - and for all but those of you with very dry skin, this will more than likely eliminate the need for additional moisturizing post-shower. but if you want it become more prominent, you will need to add your favorite LAVANILA scent over it. *This product was provided courtesy of Lavanilla PR for reviewing purposes.